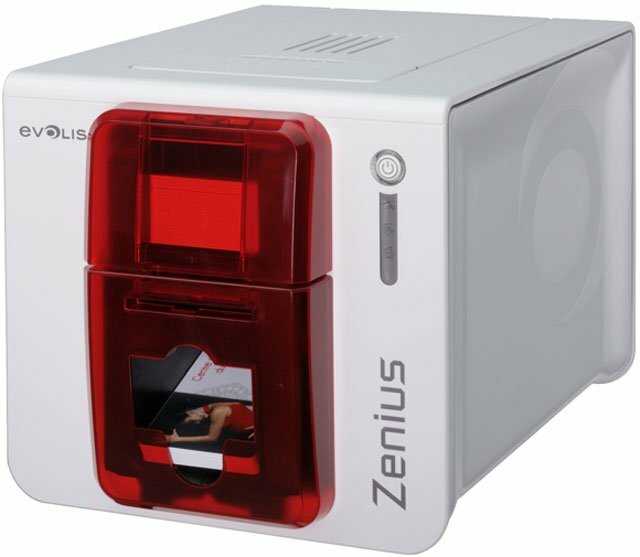 The Evolis Zenius makes it easy for you every step of the way with a wealth of advanced features loaded in a contemporary yet compact design. Equipped with state-of-the-art printing technologies, the Expert version of Zenius can be upgraded on-site with multiple encoders. These flexible features ensure that you will always be in line with your current and future requirements in plastic card printing. The Zenius features a sound level of just 46 dB and its amazingly small size, The Zenius can be accommodated in virtually any environment, be it a welcome desk, a sales counter, or an office desk. The Zenius also weighs in at 7.3 lbs and is the lightest printer in its category. The Zenius has earned the coveted Energy Star certification for it's reduced energy consumption.